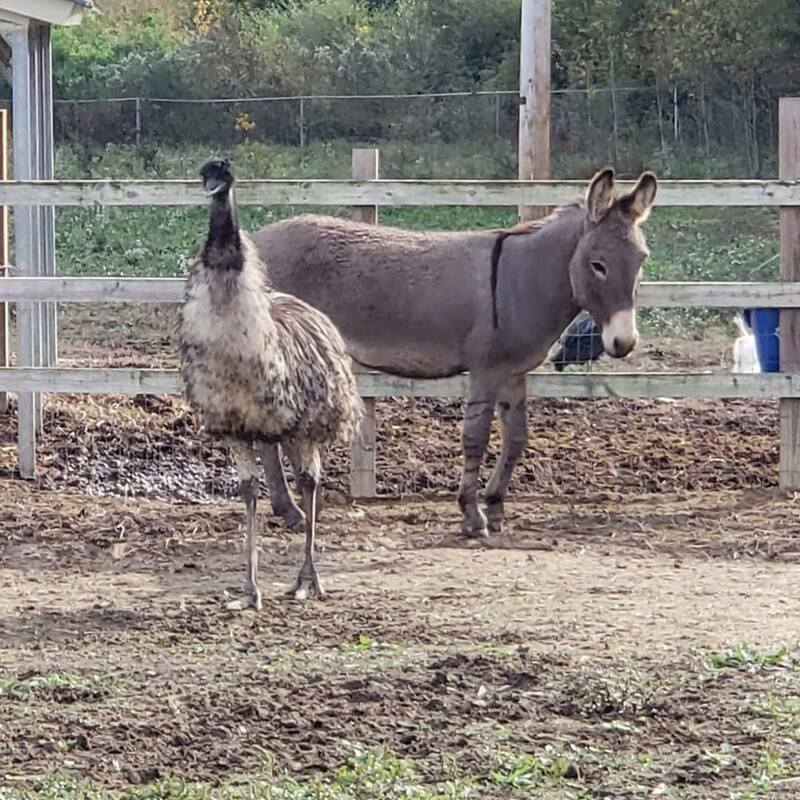 A bonded emu and a donkey are “in love.” It is the enchanting story of Jack and Diane, the donkey and the emu who had been so closely bonded when rescued from an abandoned farm in South Carolina, no one could or would separate them. Jennifer Gordon, the founder of Carolina Waterford Rescue saved the pair in November, and likely the two animals became such close companions out of sheer loneliness while left to fend for themselves after the owner of the farm disappeared. The two relied on each other for comfort. When the two arrived at the rescue, no one knew about their close relationship; that is until they tried to separate the pair. The donkey was introduced to the three other donkeys on the farm while the emu was paired up with another emu at the farm. When Jack and Diane were separated however, the two cried and paced. Once they were reunited, the pair instantly calmed down. Jack is especially protective of Diane also.